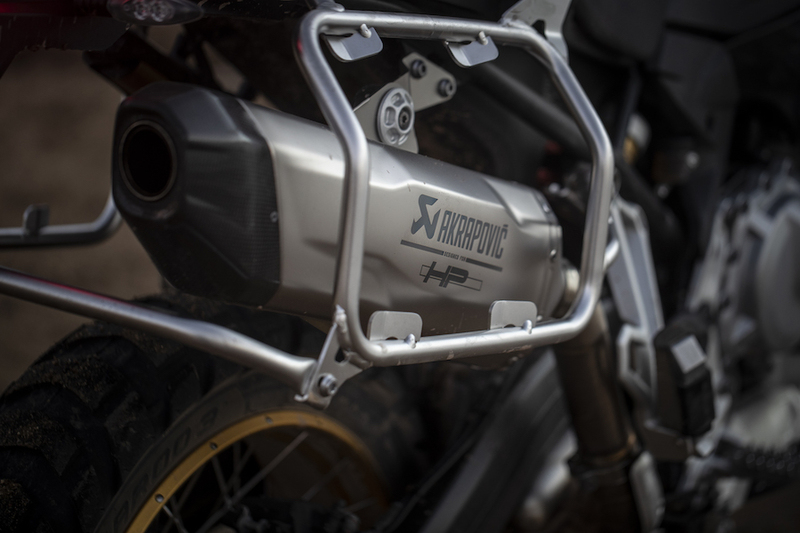 Variable valve technology plays an important role on road and track bikes, but in a hard-nosed all-roads adventure bike, is it genius or gimmicky? To boldly go where no man has gone before; Captain Kirk said it years ago and now exploration, wilderness and adventure are limited only by what you can carry in a set of panniers. 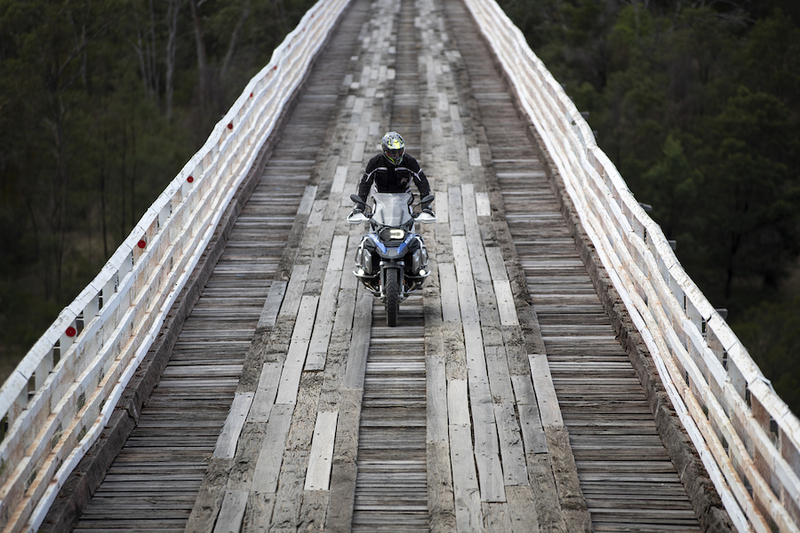 The adventure category is one of the most popular that the modern-day motorcyclist is aspiring to. It’s growing at an unprecedented rate and BMW is one of the leaders. 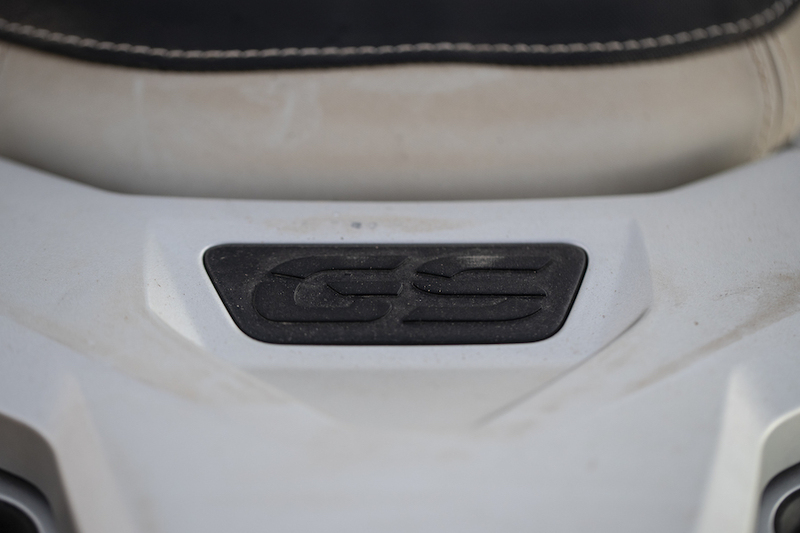 It’s no secret that the GS range continues to impress riders all over the world, myself included, and like many other riders, it has only been the last few years that I’ve discovered what an incredible way it is to see the world. 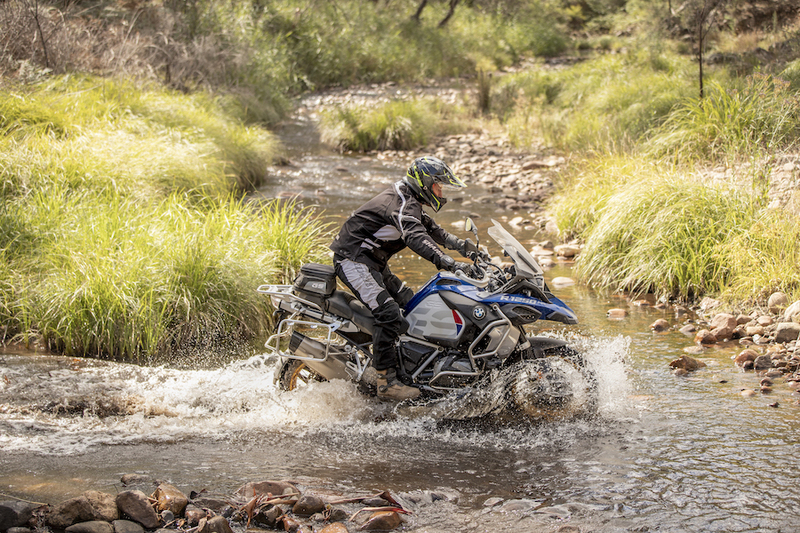 From remote deserts, mountain passes and inner cities the adventure segment can nearly do it all – unlocking further possibilities is only an R 1250 GS Adventure away. 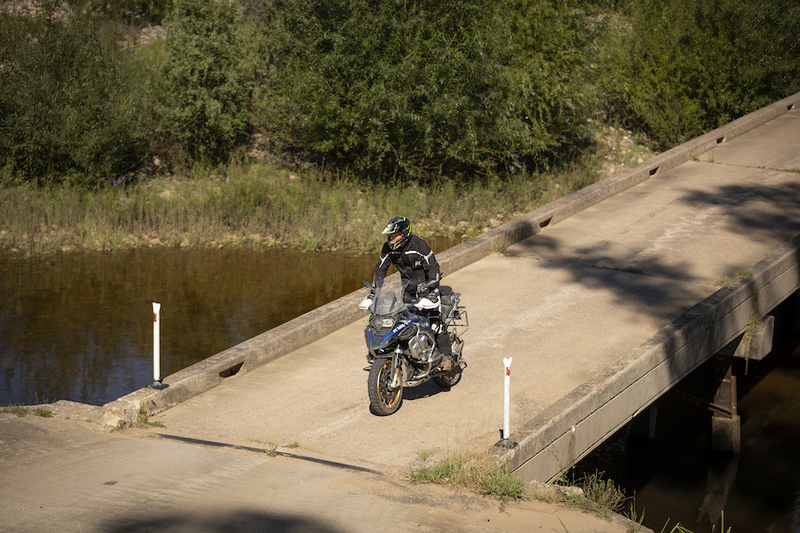 It’s the newest kingpin of the BMW adventure category and is one of the first bikes that come to mind when you hard-core adventure is mentioned and the new higher-tier R 1250 GS Adventure continues the trend set by its long line of hugely capable predecessors, right back to the first R 80 GS released in 1980. The outgoing R 1200 was a proven beast, so BMW didn’t need to go back to the drawing board with the new 1250’s machine’s key features. Instead, small but significant improvements were made to the current and already enormously capable GS structure. Things like the ergonomics, riding position and weight distribution remain more or less unchanged, making sitting on the bike and lifting it off its side stand a very familiar and confident experience. There’s still plenty of room on the bike, even for a taller rider like myself, retaining its trademark globetrotting comfort. But thumb the starter and accelerate away and the increase in capacity is immediately obvious. The 1250 got hit with a substantial 14 percent boost in rear-wheel output which sees power raised from 92kW (123hp) to 100kW (134hp) as well as an 18Nm torque increase. Even more impressive is the fact that peak power and torque both chime in below the 8000rpm mark. The boxer engine has always been relatively low-revving, linear in its power curve and totally predictable and the 1250 is still exactly that. Those power figures might not seem incredible to die-hard road riding fans – especially from a bike which tips the scales at a quarter of a tonne fully fuelled – but I can assure you, just rolling on the throttle in second gear produces diesel-like torque, more than enough to power-wheelie off into the sunset. It’s happy power, the really usable kind. But what impressed me the most about this engine is the technology behind how it makes that power. It’s not a simple case of adding a few extra cubes and tweaking the bore and stroke, the new boxer engine employs a variable valve technology what BMW has coined ShiftCam. And from a firm which has been developing and producing variable valve technology on its passenger and performance cars for almost two decades, it’s about time it tasked its engineers with the job on what’s its most popular engine platform to date. 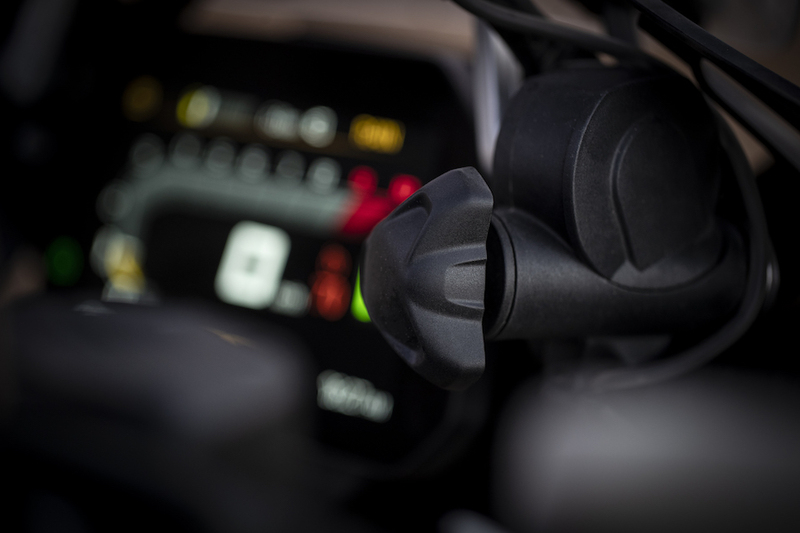 Though BMW remains adamant the system – which is the first time variable timing has appeared on a BMW motorcycle – owes nothing to its four-wheel counterparts. It’s an innovative set-up, too, one which those with an interest in new tech will love. Controlling only the inlet valves, the inlet camshaft of each cylinder incorporates two different cam profiles mounted side-by-side on the same shaft. One is a partial-load cam, the other a full-load cam and, depending on rpm, gear and throttle input, delivers a perfectly suited output in the most economical way possible. So as you ask more with your right hand, an electronic actuator lifts a pin which locks into the camshaft, and then the rotation of the shaft allows the pin to draw the camshaft sideways which brings the more aggressive, longer duration cam lobes in line with the valves. 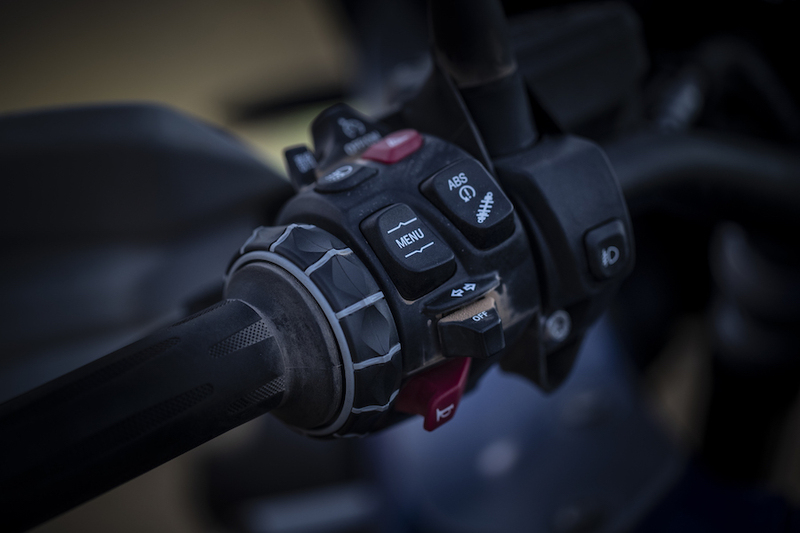 As you close the throttle, the pin releases and the shaft with the less-aggressive cam profile gets pulled back above the valves and the whole shebang takes just five milliseconds. So it’s a combination of variable valve timing and variable valve lift and it’s all electronically actuated by the Bosch ECU. Captain Kirk would be impressed. Especially if he’d recently ridden the outgoing 1200, which while was no slouch, it wasn’t a powerhouse. The 1250 on the other hand, is noticeably stronger through the entire rev range. 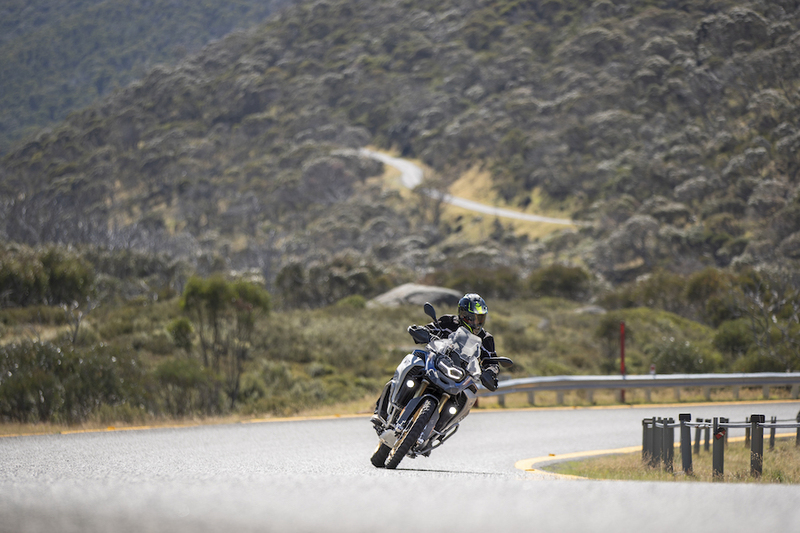 But it wasn’t until several hundred kilometres into the test and onto the tarmac that I realised that this new engine really has added an extra dimension to the capability of the GS. You see, having a high-powered sportsbike is fantastic for spirited on-road riding and having a high-high-capacity machine tuned specifically for off-road capabilities is superb for hitting the beaten track. And while walking that fine line in between the two is a noble quest, it runs the risk of diluting each platform’s advantages as well as completely missing both marks. The R 1250 GS is the best example I’ve seen so far which does a really good job at managing both tasks. It now has awesome superbike-like power to carve up mountain roads, but with the tractability and predictability to ably tame the wildest of dirt tracks and adventure trails. It’s quite incredible. This added dynamic introduces a new sector to the top end of the GS range which we haven’t seen before. The engineers have focussed the increases to the small rev ceiling and the cam shaft tech has a seamless overlap between peak torque and peak power. I still don’t think the new engine turns the 1250 into a ballistic missile, but it’s not something that’s required for this type of riding and I think what’s on offer is a great fit. Anyone familiar with BMW’s engine management and traction control systems will know they’re capable bits of kit, all of which improved considerably over the years and, while we don’t see a massive change in the electronic capabilities of the 1250 compared to the previous model, it works exactly as intended. The off-road modes are particularly impressive and are the safest option on a loose surface – a 250kg lump of metal capable of 135 horses is best handled with (cleverly engineered) care. 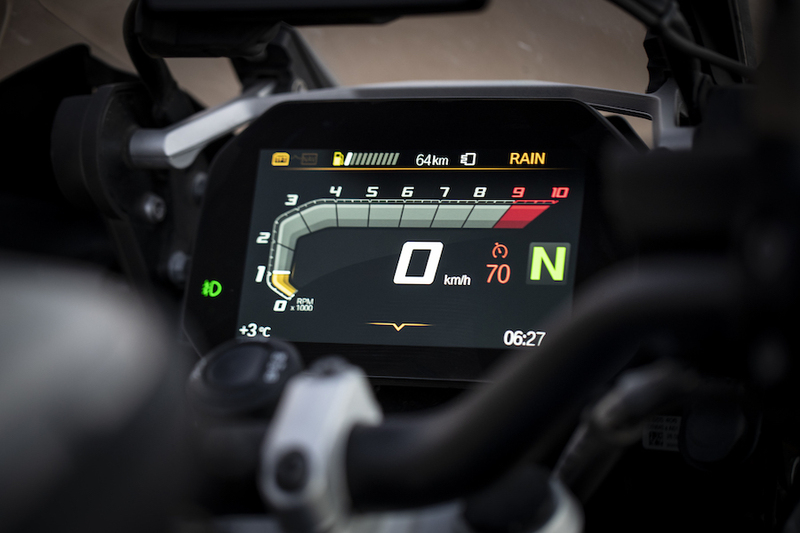 Whoever designs the parameters at BMW left the fun option turned on and the electronics are there to safeguard major lack of skill determined by the rider, but they are far from fool proof. 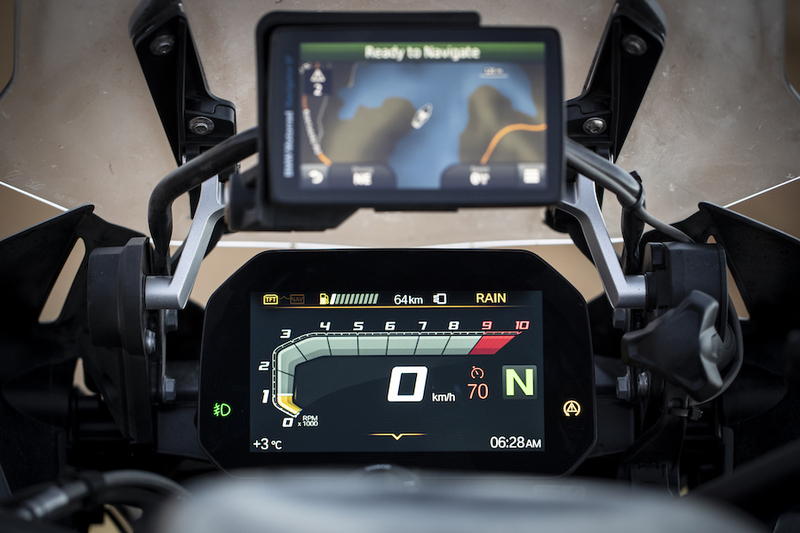 I’ve spent a lot of time as a rider developing electronic systems and refining them in controlled environments, so I can really tell that BMW has paid close attention to developing an electronic system that works within the 1250’s chassis parameters. An example of this is the amount of rear end slide it allows on loose dirt. The (optional) Enduro Pro mode allows the rear end to slide to a certain point and is clever enough to maintain a full-blown slide, but doesn’t allow it to reach the point of no return. Unless of course, your rear-end is heading towards an embankment – then it’s less about engineered parameters and more about a heavy involvement of luck. There are a plethora of settings you can change and customise in regard to throttle response, traction control intervention, electronic suspension settings and ABS controls. To be honest, the factory settings were completely fine for me; the changes to suspension damping on the fly were particularly noticeable, especially with a fully fuelled 30-litre tank between road and dirt modes and, while there are several factory settings at the push of a button that all offer something slightly different, I found that the Road setting or the Enduro Pro mode covered all bases more than adequately. It’s important to note here that some of these settings come as an option. 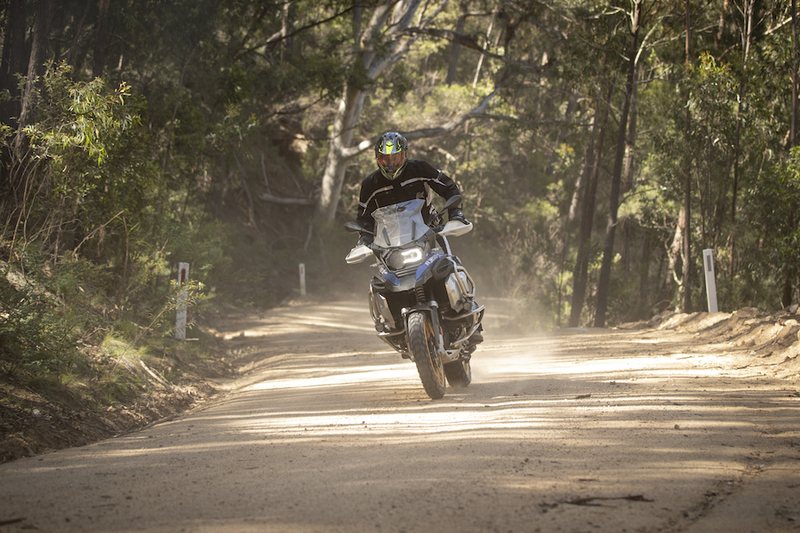 The R 1250 GS Adventure model only includes rain and road options, while the Adventure Rallye X variant (there’s actually 10 different versions of the R 1250 GS currently available – see breakout) comes with all the off-road fruit including adaptable suspension damping and the full electronics package. 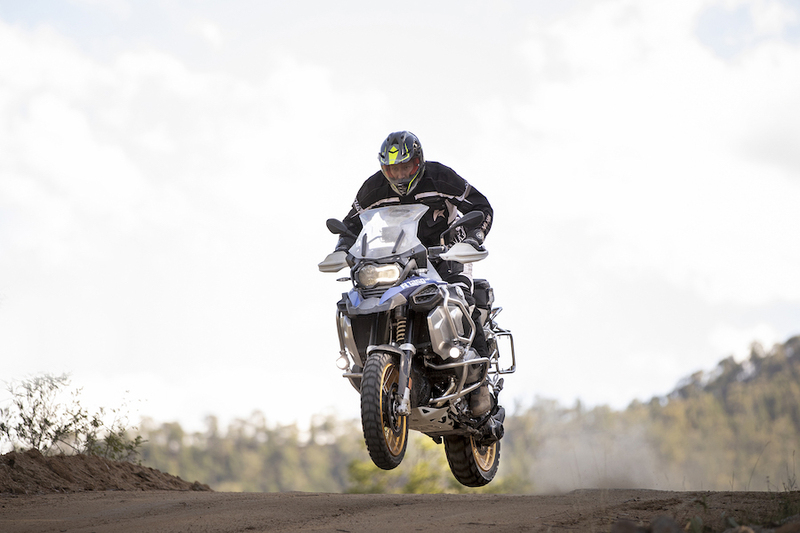 BMW has certainly recognised the GS is going further and more remote at the hands of their customers than ever before, so reliability is something of utmost importance. 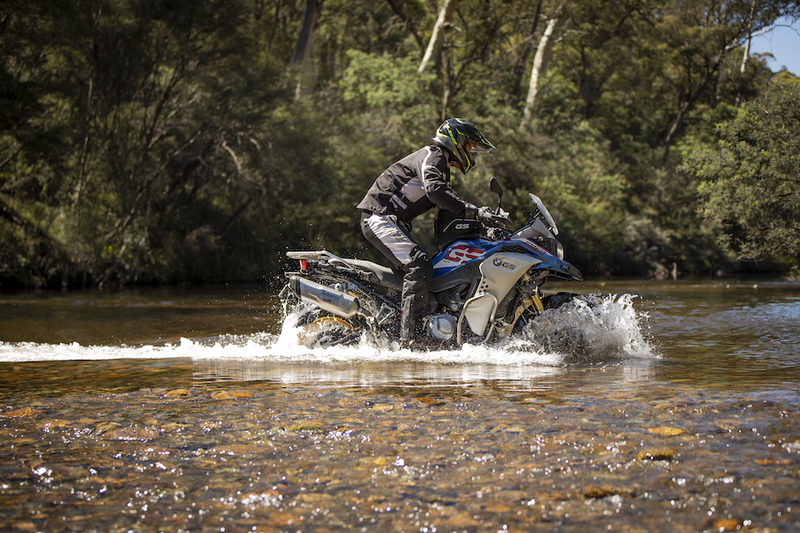 The 1250 features an array of knock sensors that allows more flexibility of fuel quality and allows the use of a RON level lower than 95, which is particularly useful in the Australian outback. With the quality of motorcycle that BMW produces these days and the decades of development that has gone into what has ultimately culminated in this R 1250 GS Adventure, it’s hard to identify any major downfall, and nor should we from a bike which we can trace back almost 40 years. The major updates between the current model and the outgoing one are apparent and while it’s not a completely redesigned bike by any means, the changes are technologically substantial, they’re relevant and they’re noticeable. You get a lot of bike for your money and although its big physical appearance and weight may be daunting for some riders – especially those wanting to tackle the Aussie bush – it’s a surprisingly manageable bike which ticks a whole heap of boxes. 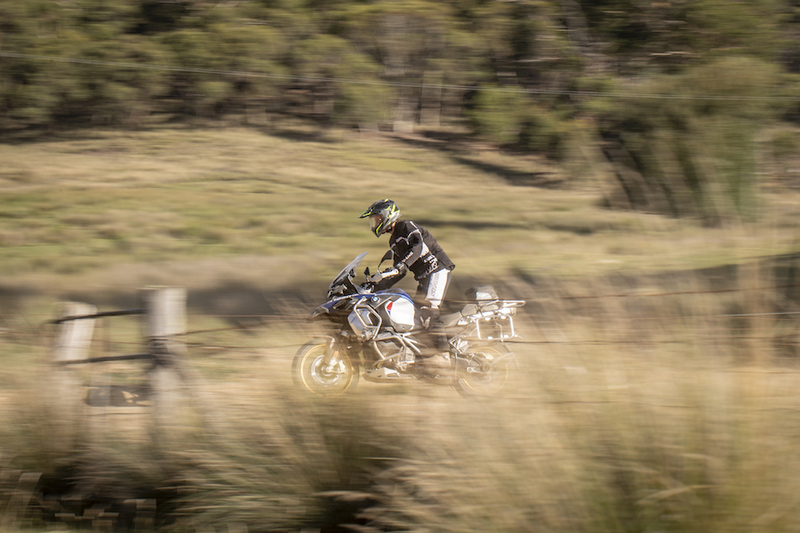 The 1250 is an incredibly capable all-rounder – so much so that it’s hard to understand why BMW Australia feels it needs 10 versions – but if you want one bike that will do it all and for as long as you want to do it for, you’ve found it. The route from Merimbula through to Albury via the Snowy Mountains was intense. At times, there was nothing more than a wheel’s width between me and a sheer cliff face. Riding these conditions really make you feel like you’re achieving something unique – it’s a cross between an adrenaline filled pursuit of the unknown followed by a healthy realisation that the only way out if things go wrong is via helicopter evacuation. These sort of rides are the quintessential adventure where long sections of corrugated roads and kilometre-long dust clouds exist, followed by sections of tarmac carved into the hill sides that make me wonder how they even managed to get the equipment in to seal them. It’s really a true test of any machine and the sort of terrain that finds underlying issues with the bike in question. 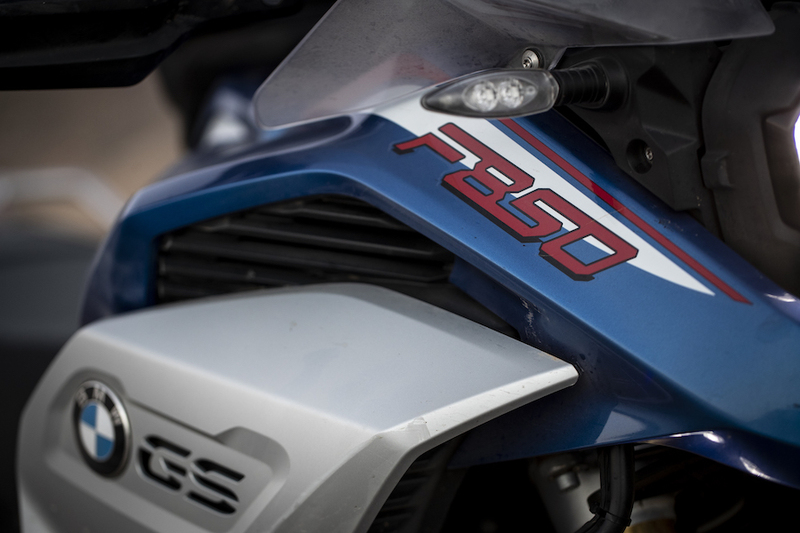 It was also a true comparison of machines as I rode the BMW 1250 GS from Merimbula to Jindabyne, and the F 850 GS Adventure onwards to Albury. Both days comprised of good mix of dirt and tar and both as challenging as the other. The 1250 and 850 were completely capable of tackling what we pointed them at, it gave both bikes a chance to show their true colours. After spending years racing on tarmac in pressure-cooker environments in Europe, this particular lap was one that truly highlighted what endless possibilities we have right here in Australia. 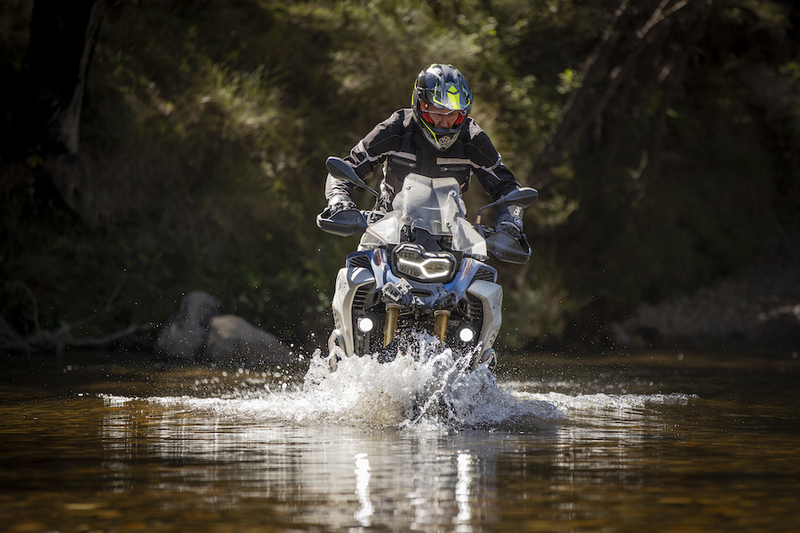 Riding the 1250 Adventure followed by the smaller-capacity 850 Adventure, really highlighted the main differences between the cream of the BMW adventure bike class. There are many differences between the pair, however when we get down to the nitty gritty, we’re really only talking power, weight, physical size and price. Each bike has the ability to do the same job and could venture into the wilderness, both on and off road, no questions asked. The obvious major difference is the capacity and with this comes the added bonus of more power – but the trade-off there weight and physical size. I asked myself if the battle-hardened adventure rider needs more power off-road, or does a physically smaller and lighter machine benefit are far more accomplished rider more? 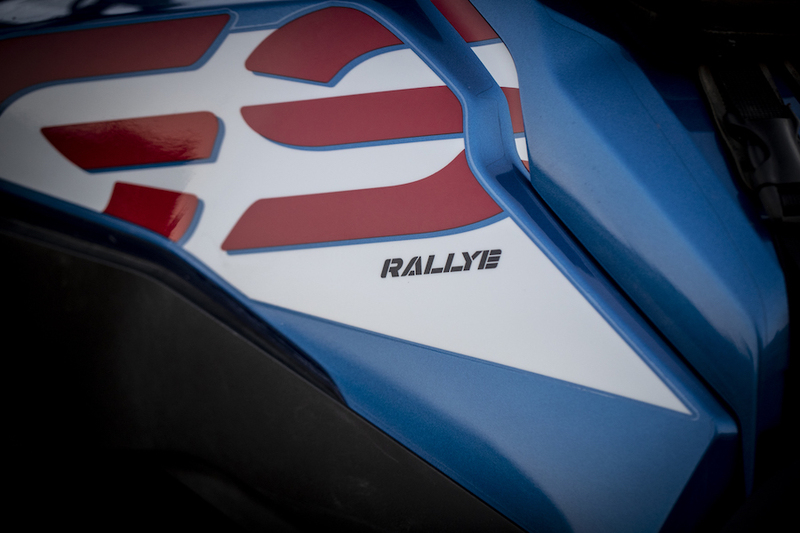 Both bikes feature similar tech in terms of ABS, suspension and electronic control which bring it down to the absolute basics of the 1250 having more available power on tap, yet the 850 reigning supreme in weight and physical size. There is no winner here, but if you want to spend most of your time off road, I would be happy to trade power for agility – I’d buy the 850. If you want a bit more spirit for the on-road sections, and more long-range comfort, but still want to hit the bush hard, then the 1250 is your bike. It comes down to personal preference so it’s more the case of which one suits your adventure. BMW has nailed both the middleweight and heavyweight categories with these two machines and built two offerings for two different riders. But it’s not so much a comparison as a preference. The choice is yours. This is the hub of all the tech. The screen is crystal clear, almost looks like a sticker with such popping resolution. 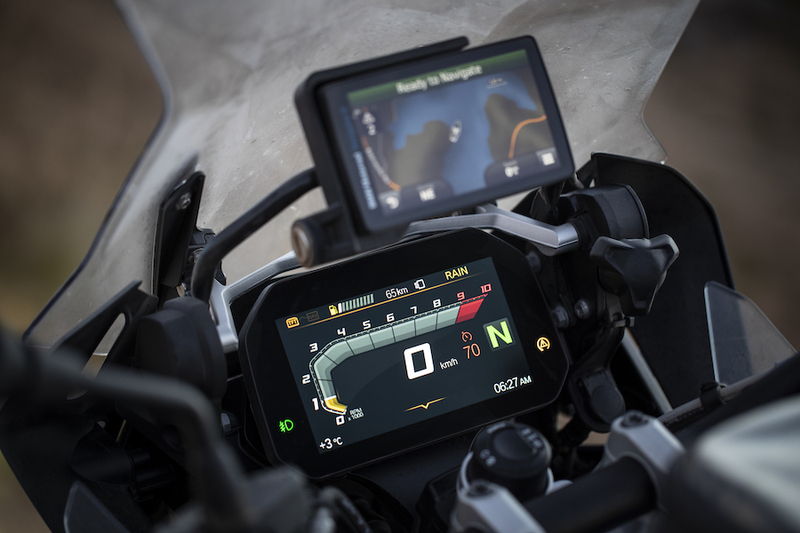 The controls on the handlebars and are very intuitive for operating the menus in the display and the connectivity links to your Bluetooth headset in your helmet for music and calls perfectly. The brakes on the 1250 have substantially more bite than the 850, however the ABS operates faster and more precisely than most riders would be able to control manually. It’s an impressive safety feature that doesn’t inhibit the rider like many less-refined systems out there.